This platform has all the features you will need to make it easier for you to manage your schools year after year, and is a tool for school principals, secretaries, teachers, parents and high school and university students. 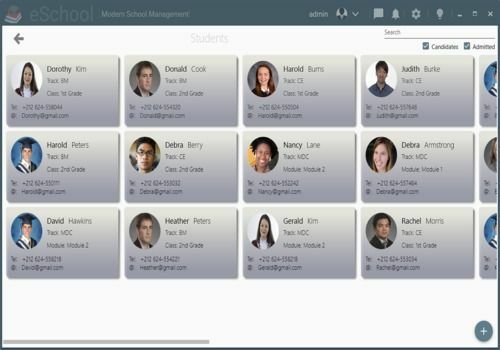 Allows the principal/taff of the school to manage the staff of his school, classes, students, averages, absences, etc. over several school years. Allows teachers to manage their students year by year, absences, grades, homework... etc. - Allows students to follow schedules, courses, activities, homework... etc. Allows graphical visualization of enrolment statistics, annual registrations and tuition fee advances.